The next generation Fiesta is unveiled with the most sophisticated range of driver assistance technologies and connectivity features ever in a volume small car in Europe, as part of the most comprehensive and versatile line-up of variants in 40 years of Fiesta history. 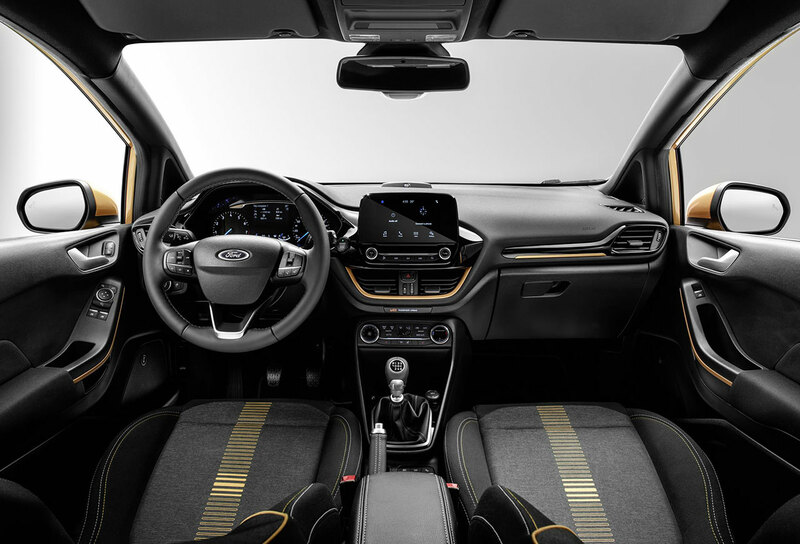 Ford revealed four distinctive production variants of the Fiesta, including the stylish Fiesta Titanium, the Ford Performance-inspired Fiesta ST-Line, the upscale Fiesta Vignale and the Fiesta Active crossover – the first in a new line-up of Active vehicles to be rolled out across the Ford range in years to come. Three- and five-door Fiesta variants will deliver superior quality and refinement; feature a stylish new exterior and revolutionary interior design with more personalisation options than ever before. Ford has also further enhanced the compelling fun to drive character that has helped make Fiesta the best-selling car in Britain every year since 2008. “It's because we share our customers’ passion for Fiesta that we’ve been able to take this iconic small car’s lovable, fun and sporty-to-drive character to the next level, with a greater choice of models than ever and each with a distinctive personality,” said Jim Farley, executive vice president and president, Europe Middle East and Africa, Ford Motor Company. "We now have a Fiesta option for every driver, including the luxurious Fiesta Vignale and the Fiesta Active crossover, with advanced technologies and features that small-car customers could only have dreamed of just a few years ago." 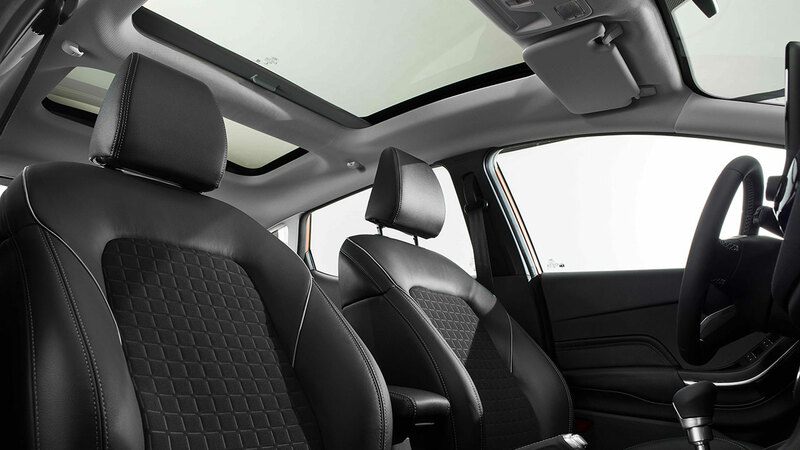 Fiesta is also the first Ford vehicle to feature a premium B&O PLAY Sound System, and for the first time offers an openable panoramic glass roof. The Fiesta’s sophisticated SYNC 3 communications and entertainment system is supported by floating high-definition touchscreens up to 8 inches in size, and a spacious and ergonomic interior features an almost 50 per cent reduction in centre console buttons for a more intuitive environment. 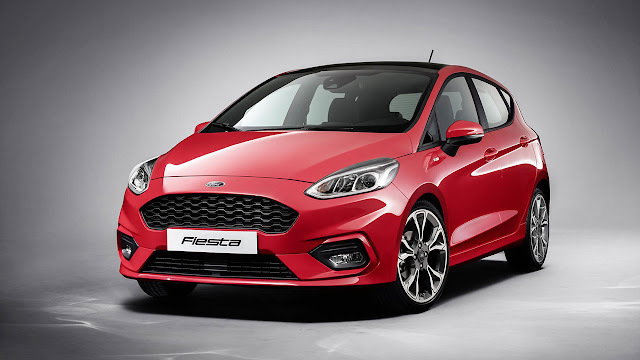 Cutting-edge powertrains include Ford’s multi-award winning 1.0-litre EcoBoost petrol engine offering up to 140PS, and a 1.5-litre TDCi diesel offering 120PS – the first high-power diesel Fiesta powertrain. Ford anticipates CO2 emissions from 82g/km, supported by an all-new six-speed transmission with innovative friction reduction technologies. 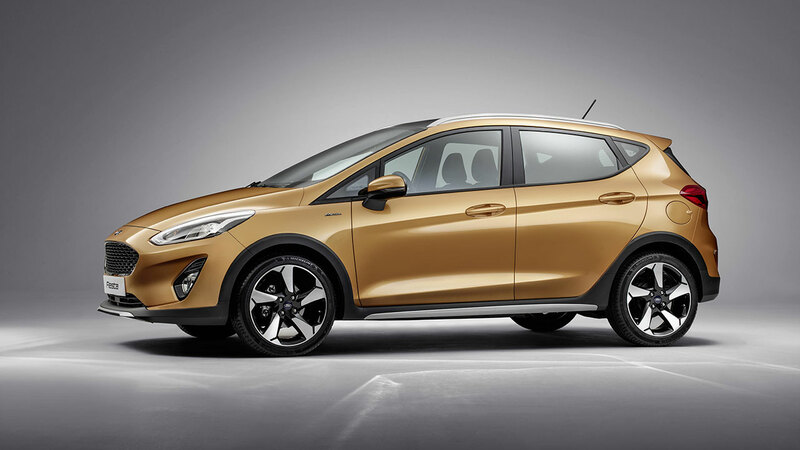 The Fiesta Active is the first Fiesta crossover model, combining rugged SUV-inspired styling that includes raised ride-height, roof bars and additional exterior bodystyling; hatchback practicality; and true Fiesta driving dynamics. The Active series will join the Fiesta line up later on in the launch period. Also revealed was the stylish Fiesta Titanium, indicative of the high specification and quality that will be delivered to Fiesta customers across Europe. Higher specification Ford models accounted for nearly 60 per cent of sales in the first 10 months of 2016. Titanium models account for 48 per cent of Fiestas sold this year. 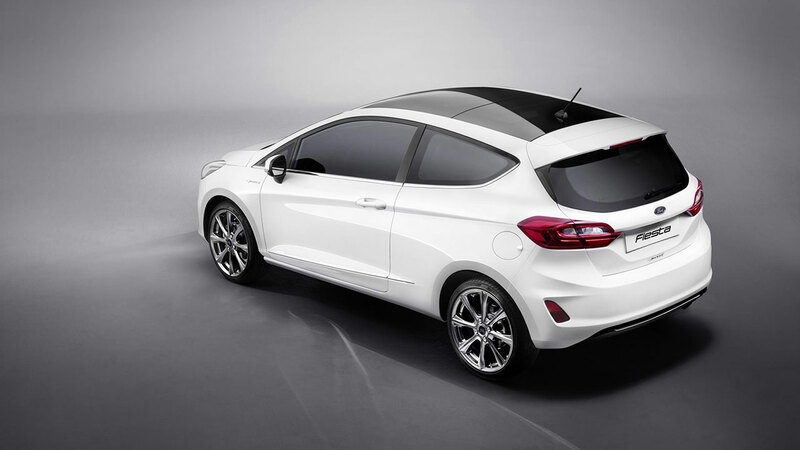 Fiesta will also be available in Zetec and Style versions. Fiesta is the first Ford to deliver an enhanced version of Pre-Collision Assist with Pedestrian Detectionthat can detect people who are in or near the road ahead, or who may cross the vehicle’s path, using light from the Fiesta’s headlights at night.